Families completing a clinic visit will receive a free developmental assessment for their child. All families will receive monetary tokens of appreciation. What is WISCONSIN SEED 3? 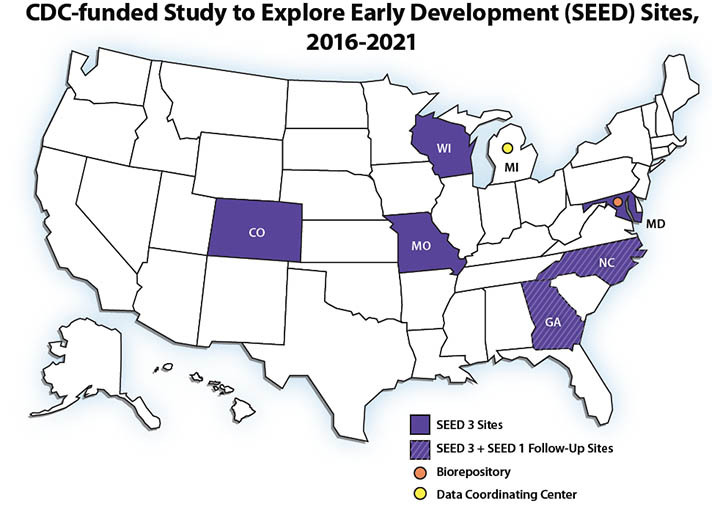 SEED 3 is the third phase of a multi-year, multi-state research study to compare children with autism and other developmental delays to children without these delays. This study is funded by the Centers for Disease Control and Prevention (CDC) as part of the Center for Autism and Developmental Disabilities Research and Epidemiology (CADDRE) Network. The Wisconsin site is located at the University of Wisconsin-Madison’s Waisman Center. The Marshfield Clinic in Marshfield, WI operates as our sister site for SEED 3 enrollment and participation. The other sites participating in SEED 3 are in Colorado, Georgia, North Carolina, Maryland and Missouri. Together these sites will enroll approximately 2100 children for SEED 3. 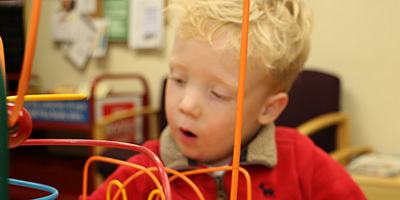 Families completing a clinic visit will receive a free developmental assessment for their child. All families will receive monetary tokens of appreciation for their time. Epidemiology is a branch of public health which examines health in groups of people. Epidemiologists study the numbers of people affected by health problems, the characteristics of those who are affected, and when and where the cases of health problems occur.